Rebus is very Interesting Puzzle type. In Mathematical Puzzles you need to know the Maths. 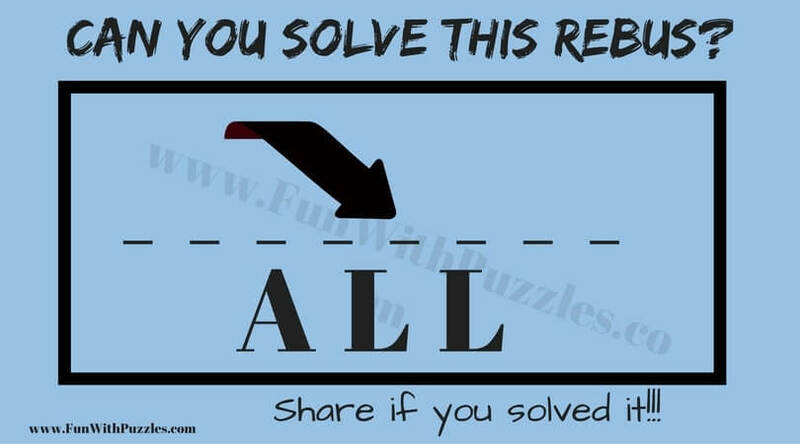 To solve Logical Puzzles you need to have good Logical thinking ability. Similar to solve Rebus puzzles you need to have good English Language Knowledge. In Rebus Puzzles English language Phrases and Idioms are represented by pictures. 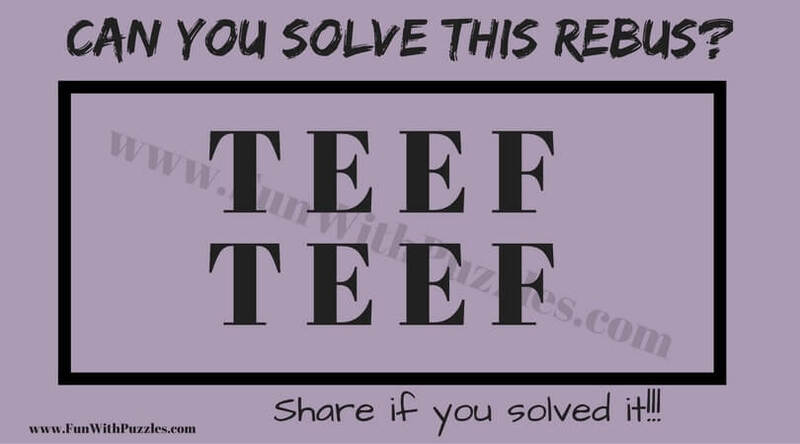 Here are some tough rebus puzzles. In these rebus puzzles, English Language phrases and idioms are represented by the pictures. 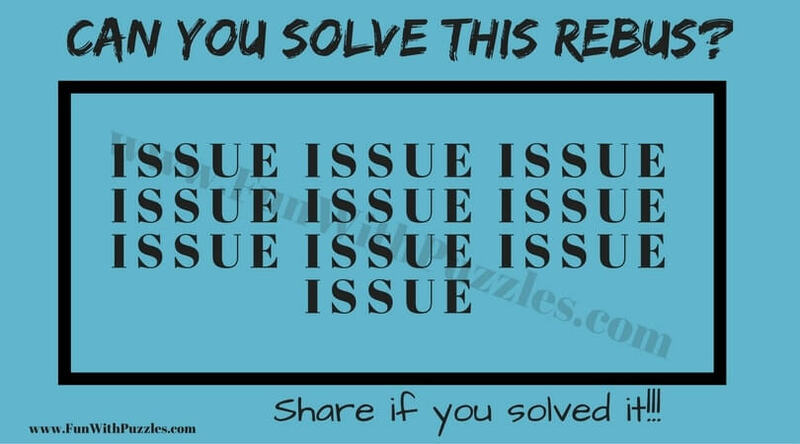 Your challenge is to guess the idiom or phrase represented by these picture puzzle images. 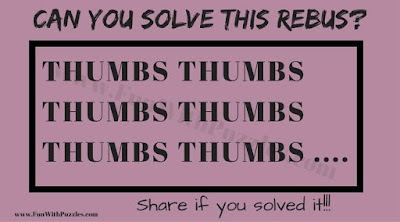 Answers of these Rebus Puzzles is given at the end. Do post your answers in the comment section. 1. 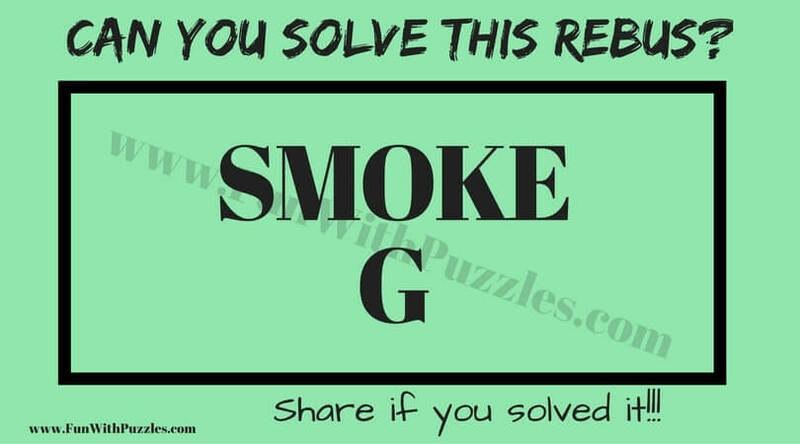 Can you solve this rebus picture puzzle? 2. What does this Rebus represents? 3. Can you decode this rebus picture puzzle? 5. Can you solve this tough rebus picture puzzle? 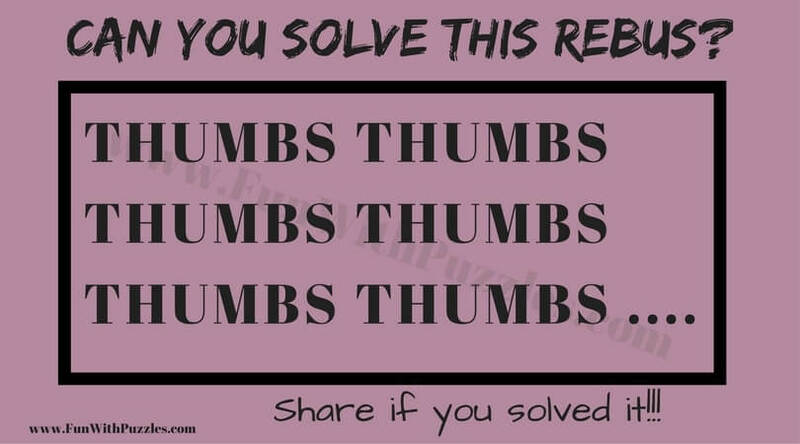 Do checkout the following Puzzles and Brain Teasers for twisting your mind. 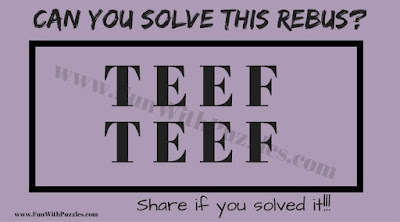 Fill In The Missing Vowels Brain Teasers: It contains the English Word Brain Teasers for kids and teens. It contains names of the shapes in which vowels has been removed. Your challenge is to fill in the missing vowels to get the given shape names. 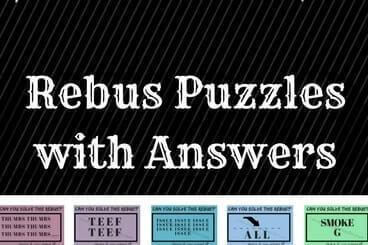 Easy Rebus Puzzles for Kids with Answers: It contains introduction to Rebus Puzzles and contains very easy Rebus puzzles which can be easily solved by anyone. Fun Brain Teasers: It contains mix of many Mathematical, Logical and English Word Brain Teasers to challenge and twist your brain. Picture puzzles to find the hidden letters: Till now in all these word brain teasers you were working with knowledge of English words and letters. Now its time to play with letters. In these picture puzzles your challenge is to find the hidden letters in the given patterns.